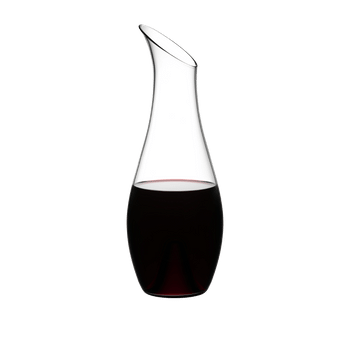 Home Shop RIEDEL Decanter Ultra R.Q. The classic handmade decanter distinguishes by an elegant and complex design. RIEDEL whole-heartedly believes all wines - young and old, red, white or sparkling - can be enhanced by decanting. These decanters are sculptural enough to qualify as art but also incredible triumphs of functionality - a classic RIEDEL hallmark. 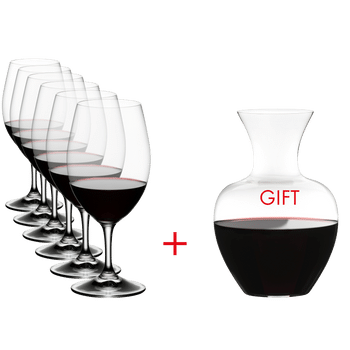 RIEDEL tip: use bottle cleaners to remove stains inside the decanter. RQ = this item is supplied as 'Restaurant Quality' meaning that it may contain small imperfections when compared to the same item in 'best quality' and, as such, is offered at a special purchase price exclusively for use in restaurants.